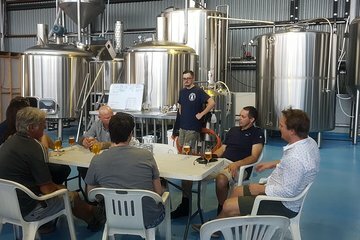 Beer fans visiting Brisbane—this is the tour for you. Get out of the city center, and explore the western suburbs of Brisbane. You’ll visit four breweries, and enjoy a tasting paddle with four beers at each location. Travel between breweries in a comfortable air-conditioned minivan, and enjoy the convenience of having alcoholic beverages and bottled water included.